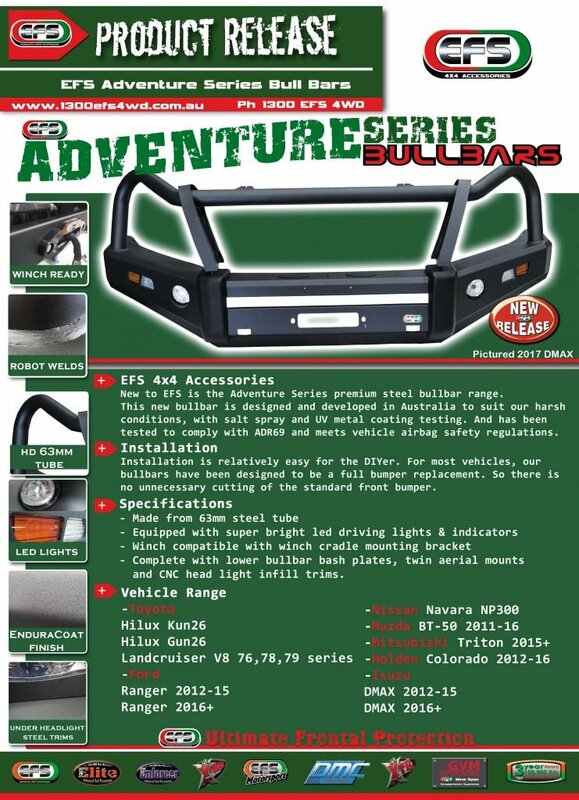 New to EFS is the Adventure Series premium steel bullbar range. This new bullbar is designed and developed in Australia to suit our harsh conditions, with salt spray and UV metal coating testing. And has been tested to comply with ADR69 and meets vehicle airbag safety regulations. Installation is relatively easy for the DIYer. 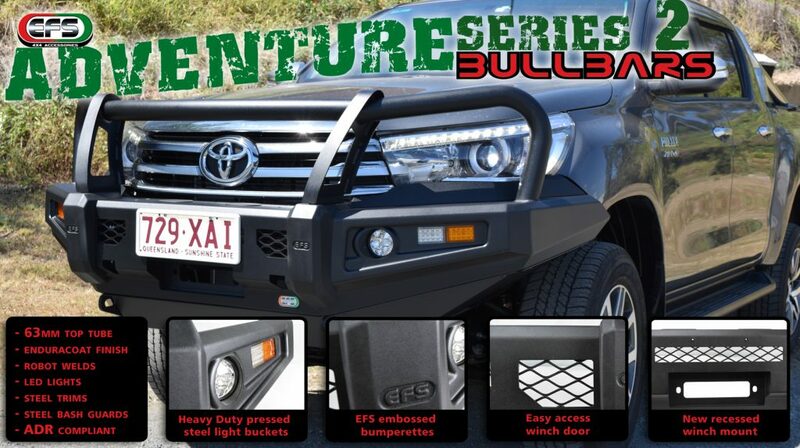 For most vehicles, our bullbars have been designed to be a full bumper replacement. So there is no unnecessary cutting of the standard front bumper. -Complete with lower bullbar bash plates, twin aerial mounts and CNC headlight infill trims. 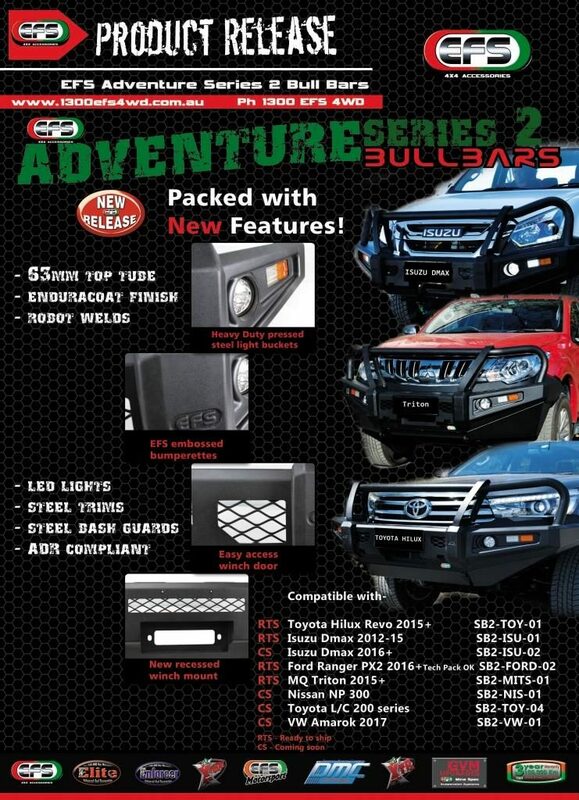 EFS Adventure Series 2 Bullbars are now available.